A Mass of Christian burial will be held Thursday, September 26, 2013, at 11:00 AM at the Church of the Assumption for Mrs. Dolores "Shing" Falterman Dantin, 83, a native and lifelong resident of Franklin, who passed away Tuesday, September 24, 2013, at 9:40 AM at Franklin Foundation Hospital. She will be laid to rest in the Franklin Cemetery Mausoleum. Serving as pallbearers will be Kenny Granger, Jr., Steven Arton, John Moresi, Sr., John John Moresi, Jr., Calvin Clausen, and Edgar Adams. Father Lloyd Benoit will officiate the services. Survivors include her husband of 64 years, Charles William Dantin; two daughters, Lorraine Sue Dantin Granger of Livingston, and Terrance Ann "Teri" Dantin Arton and her husband Robert of Broussard; four grandchildren, Kenny Granger, Jr. and his wife Latrell, Cindy Moresi and her husband John, Jason Granger, and Steven Arton and his wife Amanda; nine great grandchildren, Hailey, Kennen, Victoria, and Landon Granger, Allyson, Ashley, John John, and Joshua Moresi, and Taylor Granger; and numerous nieces and nephews. She was preceded in death by her parents, Lawless "Pete" Falterman and Amorite Broussard Falterman. A gathering of family and friends will be held Thursday at the Church of the Assumption from 8:30 AM until time of Mass at 11:00 AM, with the rosary being prayed at 10:00 AM. Arrangements have been entrusted to Ibert's Mortuary, Inc., 1007 Main Street, Franklin, LA 70538, (337) 828-5426. Our deepest smypathy for the loss of your wife & mother. May God give you comfort in this time of sorrow. Our prayers are with all of you. Sorry to hear of Shing's passing. I met her a quarter century ago when my sister and I went on a bus tour with my daughter. She was very enjoyable to be around adding so much to the trip. Sorry to hear about the passing of "Aunt Shing", She was always a happy and pleasant lady with a smile. Such fond memories. Our hearts go out to you in your loss. Memories are so precious to us and we cling to them in times like these. You are all in our thoughts and prayers. It's never easy saying "goodbye" to those we love, but we have the promise when we are His, that we will one day be reunited in the Presence of our Lord and Savior in eternal peace to rejoice together always. I, too, look forward to the day when I will again see my mom. It's been such a long time to me, but to the Lord a thousand years is like a day. Time is fleeting and we are only here for a short while. Know that He loves you and you can go to Him for anything. He is our refuge and strength. Teri, I have thought so often of the times when we were children and I spent many sleepovers at your house. And living by City Park, we had a great time together there. Still today I think of those times. I cherish the times our families had to spend together over the years. Aunt Shing always had a way of making others feel at home and she enjoyed laughter. You are each always in my heart, my thoughts and my prayers. I'm sorry I was unable to be there at this time. Kenny and I are on the mission field in Bremen, Germany and unable to get home until around Thanksgiving, but know that we are there with you in spirit. Only by God's grace are we able to meet each day and be all He created us to be. Rest in His strength and comfort. Remember all the happy times with Mrs. Shing when I was a young girl. 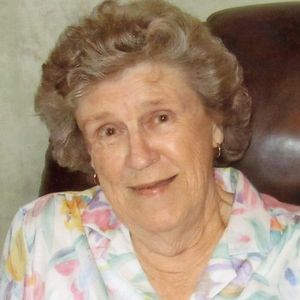 She and Mom (Shirley Hebert) were best friends from childhood. I know that they are have a great reunion in heaven. Uncle Charles I am so sadden to hear of Aunt Shing's passing. We love you very much. God bless you and the family. Our thoughts & prayers are with Uncle Charles & all the family. God bless, prayers & love. May God comfort & hold you all in His loving arms.